Wildlife Australia is Australia’s oldest surviving wildlife magazine and nature journal, featuring articles by experts, researchers and award-winning natural history authors and showcasing the photography of some of the continent’s most talented photographers. For more than half a century, from its beginnings in 1963 – when world-famous poet Judith Wright was at the editorial helm – Wildlife Australia has been informing readers about Australian species and helping preserve some of our most vulnerable ecosystems. 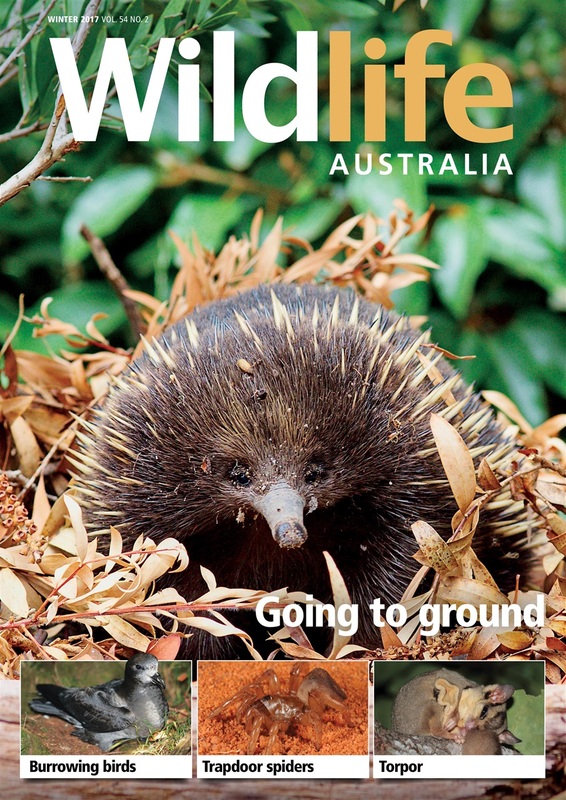 A quarterly, 50-page full-colour magazine, Wildlife Australia is published in print for thousands of international and Australian subscribers. It is also available digitally for Google Play, Apple iBooks, Kindle Fire, Pocketmags and through Ebsco and Informit to libraries worldwide. At Wildlife Australia we’re not only committed to creating an entertaining and stunning wildlife magazine, we’re also on a mission to protect wildlife, influence choices and engage communities. Wildlife Australia is published by not-for-profit Wildlife Preservation Society of Queensland (Wildlife Queensland) and proceeds support crucial conservation projects. WPSQ projects have helped secure World Heritage listing for culturally and ecologically valuable wild habitats, such the Great Barrier Reef, the Hinchinbrook Passage and Fraser Island, conserving them both for wildlife and for future generations. Its important work also provides jobs for graduates, established STEM professionals and enthusiastic volunteers. Together, Wildlife Queensland and Wildlife Australia have a proven track record of achieving positive conservation outcomes.